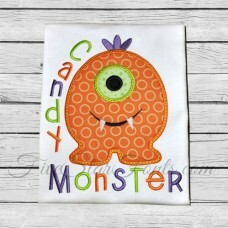 Isn't this a super cute Halloween or anytime Monster for kids and tweens. 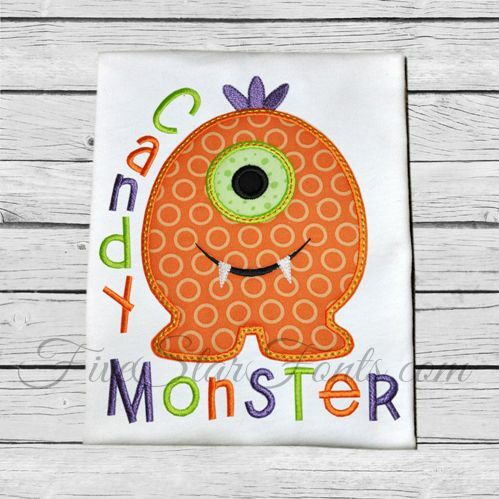 Not too scary, simple, cute and fast to stitch, just 3 pieces of fabric. The design comes with the words shown and also one with just the Monster so you can personalize it to your liking. You receive the design with and without the words.